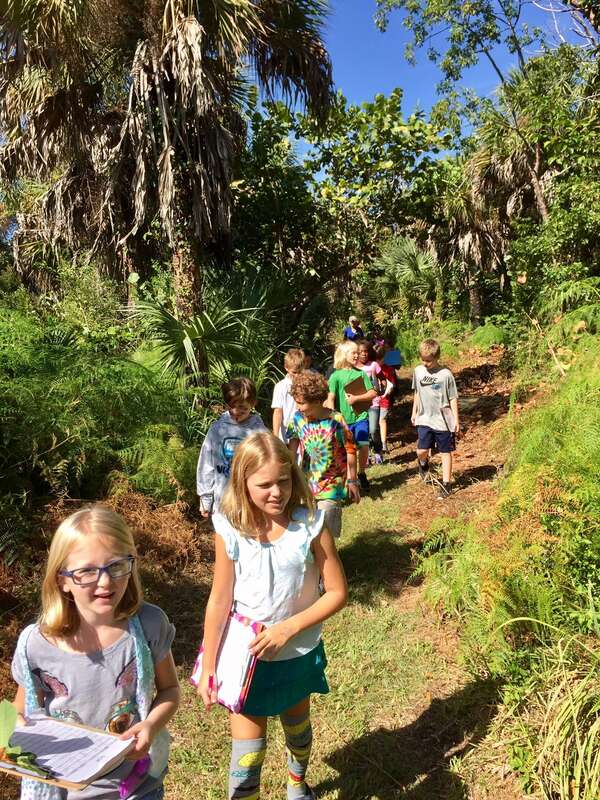 The Sanibel School has special permission to utilize the 26 acre Pick Preserve parcel to integrate environmental education into its curriculum. In a cooperative effort, SCCF provides professional support for the implementation of integrating The Pick Preserve into The Sanibel School’s curriculum. The Sanibel School is located directly across the street from The Pick Preserve making it an ideal setting for environmental based field trips that can be integrated into all facets of curriculum. Kindergarteners on up to Eighth graders take part in experiential learning through the use of this outdoor classroom.